In our previous two articles, we had discussed the date of the birth of the Prophet, salla Allahu alayhi wa sallam, and demonstrated that there are over half a dozen opinions, the strongest being that he was born on the 8th of Rabi al-Awwal, in the Year of the Elephant. We also mentioned that the first recorded instance of a public celebration of the mawlid occurred in Shi’ite Fatimid Egypt, around the turn of the sixth century of the hijra. In this article, we shall mention the earliest references in Sunni lands to the mawlid. The earliest recorded reference in Sunni lands of the mawlid occurs in a history book written by Imad al-Din al-Isfahani (d. 597 AH/1200 CE), entitled al-Barq al-Shami. This work mentions the main political occurrences of Greater Syria (i.e., Sham) during the last three decades of the sixth Islamic century, in particular the wars of the Muslims against the Crusaders. 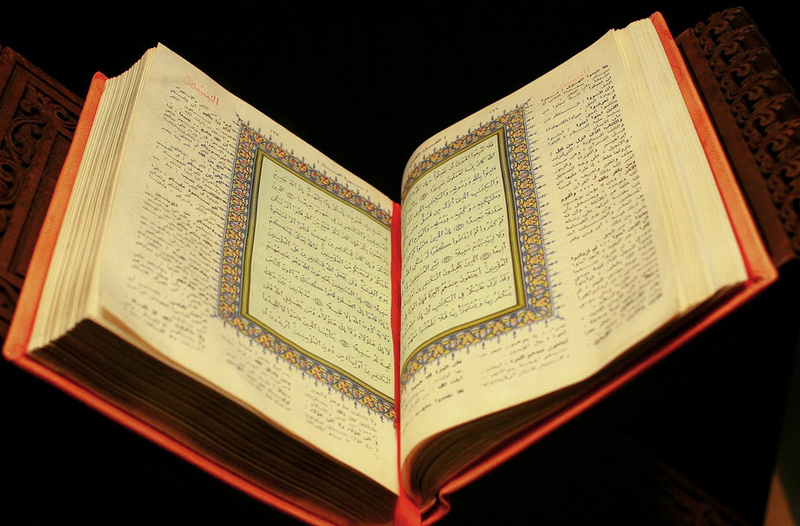 Unfortunately, the original work remains in manuscript form and has yet to be edited, but a number of summaries exist, the most famous one being Sana-al-Barq al-Shami of al-Bundari. It is from this printed work (Sana al-Barq al-Shami, Cairo edition, p. 49-52) that the following is extracted. Allah created the creation, and legislated the Shariah, and He knows best what is beneficial for them. So if He knew that there should have been an increase [in revenue from taxes], He would have legislated it for us. Hence, there is no need for us to take more than what Allah has decreed, since whoever adds to the Shariah has presumed that the Shariah is incomplete and he needs to perfect it by his addition. And to do this is arrogance against Allah and against what He has legislated, but darkened minds will never be guided, and may Allah guide us and you to the Straight Path [al-Bidayah wa-l-Nihayah, vol. 12, p. 805]. In what can only be described as a reversal of traditional roles, it was the ruler who chastised the ‘saint’ when Umar al-Mulla actually encouraged the collection of unjust taxes, while Nur al-Din sought to abolish it. Before proceeding, it is noteworthy that the mawlid instituted by Umar al-Mulla involved singing poems in praise of the Prophet salla Allahu alayhi wa sallam, and nothing more than this. Unfortunately, the books of history do not mention the nature or content of these poems; however, it would not be too far-fetched to assume that at this early stage the poems would have praised the Prophet, salla Allahu alayhi wa sallamin the manner that he truly deserves, and without the attribution of Divine characteristics to him that later poets are guilty of. The city of Mosul was located in a relatively small province, and remained under the control of the larger Zangid Empire. Hence, it was only natural that mawlid celebrations performed in Mosul would not garner too much attention nor have a large budget at their disposal to use for the mawlids. Rather, for this to occur, it had to be sponsored by a dynasty that could afford to do so, and this dynasty was found in the neighbouring province of Irbil, a city less than a day’s journey from Mosul. As news of the mawlid spread to this city, the ruler of the semi-autonomous province, Muzzafar al-Din Kokburi (d. 630/1232), took it upon himself to celebrate the mawlid in an extremely lavish manner. It would take another few decades for the mawlid to spread to Irbil, but eventually, sometime in the early part of the seventh century, Muzzafar al-Din became famous for the extravagant mawlid ceremonies that were sponsored through the State Treasury of his principality. Two days before the mawlid, Muzzafar al-Din would take out camels, cows and sheep  a large number, beyond counting  and he would send these animals, accompanied with drums and song and other instruments, until they would reach the large open ground [outside the city]. Then, these animals would be slaughtered, and pots would be set up, and all types of different foods would be cooked, until finally it would be the Night of the Mawliditself [meaning the night before the mawlid]. On that night, he would allow sama’as [special poems] to be sung in his fort, and then he would descend down [to the people], the procession being led by countless candles. Amongst these candles were two, or four  I forget now  that were so large that each one had to be carried on a mule, and behind it was a man in charge of keeping the candle erect [on the mule], until it reached the Sufi monastery. Then, on the very morning of the mawlid, he commanded that the Royal Robe be taken out from the Palace to the khanqah (Sufi monastery), by the hands of the Sufis. Each Sufi would wear an expensive sash around his hand, and they would all walk in a procession, one behind the other  so many in number that I could not verify their quantity. Then, Muzzafar al-Din himself would descend to the khanqah, and all of the noblemen and leaders and gentry would gather together. A chair would be placed for the preachers, and Muzzafar al-Din himself would be in a special tower made of wood [that he had built for the occasion]. It had many windows, some of which faced the people and others faced the open ground, which was a large ground of immense size. The infantry would also gather there, in procession. So Muzzafar al-Din would listen throughout the day, sometimes looking at the people and sermons, and sometimes at the infantry, and this would continue until the infantry finished their processions. Then, a general tablecloth would be laid out for the poor, and all who wished could eat from it, bread and other types of foods beyond count! And there was another tablecloth laid out as well, for the people of the monastery, those close to the throne, and while the sermons would be delivered, he would call [each speaker] one by one, and the noblemen and leaders and guests who had come for this season: scholars, and preachers, and reciters, and poets, and he would give each of them garments, and they would then return to their seats. Once this was finished, they would all gather at the tablecloth to partake of the food. This would continue until the Asr prayer, or even after that, and he would spend the night there, and the sama’as would continue to the next day. And this would be done every year, and what I have described is in fact a condensed summary of the reality, for to mention it in detail would be too cumbersome and take a long time. Finally, when these ceremonies would be completed, he would gift an amount to every visitor who had come from afar, as provision for his journey home. And I have already mentioned how, when Ibn Dihya passed by Irbil, he wrote up a work regarding the mawlid, because of what he had seen Muzzafar al-Din do, and because of this he was gifted a thousand gold coins, along with the generous hospitality he was shown for the duration of his stay. As can be seen, the ceremony of Muzzafar al-Din was an extremely lavish and extravagant affair, and would draw large crowds of locals and also visitors. It is clear that the relatively innocuous mawlid of Umar al-Mulla was now being taken to a different level. And because the celebrations of Muzzafar al-Din attracted more attention than those of ‘Umar al-Mulla’, they played a crucial role in spreading the custom of the mawlid and increasing its popularity. And of the best matters that have been introduced in our times is that which occurs in the city of Irbil  may Allah protect it  every year, on the day that the Prophet salla Allah alahyi wa sallam was born. [On this day], charity is distributed, and good [deeds performed], and pageantry is displayed, and happiness [is abundant]. And all of this, in addition to being beneficial to the poor, is an outward manifestation of the love of the Prophet salla Allahalahyi wa sallam and demonstrates respect for him, and honor in the heart of the one who does this [celebration], and thankfulness to Allah for what He has blessed us with in the existence of the Messenger that He has sent as a mercy to the worlds. And the first person whoever did this was [a man] from Mosul, the Shaykh Umar b. Muhammad al-Mulla, a well-known, righteous man, and it was from his custom that the Governor of Irbil, and others besides him, took this act from. From this passage, it is clear that the custom of the mawlid was already known to Abu Shamah in Damascus, but he points out that the celebration occurs in Irbil, and not in Damascus. Hence, at this stage, in the middle of the seventh century, news of the mawlid has reached Damascus, which is around 500 miles away, but the city of Damascus itself has yet to start its own mawlid. It is also striking to note the similarities between the Fatimid celebrations of the mawlid and the ones sponsored by Muzzafar al-Din: in both cases, the pomp and pageantry and generosity lavished upon the population must have played a vital role in popularizing these rulers amongst the people. Therefore, it is clear that Muslims of Mecca did do something special on the first Monday of Rabi al-Awwal, and that is to open the house of the Prophet’s birth. Of significance, though, is that that is all they did. There are no celebrations, no festivals, no songs, no ceremonies. All of this was to come later. In fact, inMecca the mawlid was not even ‘celebrated’ on the 12th of Rabi al-Awwal, but rather on the first Monday of the month. This was the extent of the mawlid in Mecca in the latter part of the sixth century, before the customs of Muzzafar al-Din were done in the far away city of Irbil. Hence, to quote this as justification for modern-day mawlids is simply not appropriate. Later in the work, he refutes those who have criticized this act as being a reprehensible innovation by claiming that the mawlid is a praiseworthy innovation, not a reprehensible one. This in itself shows that there were scholars in Andalus who were opposed to this practice and dissaproved of it, hence al-Azafi was forced to defend the practice. [See: P. Shinar, “Traditional and reformist mawlid celebrations in the Maghrib” in: Studies in Memory of G. Wiet, Jerusalem 1977, pp. 371-413; and N. G. J. Kaptien, Muhammad’s Birthday Festival, Brill, pp. 76-96]. 2) Government-sponsored mawlids in Sunni lands were first introduced by Muzzafar al-Din, who got the idea from Umar al-Mulla. These celebrations were extremely popular amongst the masses, and helped secure popularity for the rulers. 3) Late in the sixth Islamic century, the mawlid had been introduced to some Sunni lands, but the mainlands of Islam (e.g., Mecca, Damascus, etc.) had not yet begun to commemorate the day with any festival. 4) In Mecca, no festival or public celebration occurred, instead the birth-date was an occasion to open up historic sites for the people. Also, the birth-date itself had not yet been associated with the 12th of Rabi al-Awwal; rather, it was associated with the first Monday of Rabi al-Awwal. 5) The association of the mawlid with the 12th of Rabi al-Awwal was clearly a Fatimid influence, which was later followed by other government-sponsored mawlids. 5) The mawlid spread in various lands due to miscellaneous factors. In some lands, it was patronized by the rulers and used as a means of legitimizing their rule. In other lands, it was used as a tactic to divert Muslims from that which was clearly impermissible to a matter that was deemed to be praiseworthy. It is quite clear that the Fatimid celebration, having preceded the Sunni one by almost a century, was the actual origin of the mawlid. However, most later authorities (most famously al-Suyuti (d. 911) in his treatise on the subject), either knowingly or unknowingly glossed over the Fatimid origins of the mawlid, and attributed it to the Sunni ruler Muzzafar al-Din Kokburi. A few modern researchers (such as Kaptein) have theorized that this was done intentionally, in order to cover up the Shiʻite origins of the festival and attribute it to a popular Sunni ruler, viz., Muzzafar al-Din. But for our purposes it matters little whether al-Suyuti was aware of the Fatimid origins of the mawlid or not; the fact that cannot be denied is that the origin of a public celebration goes back to their empire, and Muzzafar al-Din’s suspiciously similar festival occurred almost a century after theirs. Therefore, to attribute the origins of the mawlid to Muzzafar al-Din or even Umar al-Mulla, is simply not accurate. My own leanings, which I have never shied away from expressing, are the same as those of Ibn Taymiyya (d. 728) that he mentioned in his work Iqtida Sirat al-mustaqim: that the general ruling is that such a celebration is not a part of the religion, but was added by later generations, and hence should be avoided; but it is possible that some groups of people who practice it out of ignorance will be rewarded due to their good intentions. The mawlid of the Prophet salla Allahu alayhi wa sallam should be celebrated every day, by following his Sunnah and doing in our daily lives what he salla Allahu alayhi wa sallam wanted us to do. Next articleHow To Stop Going Back To Sinful Ways?